KEARNEY – More than 160 million U.S. consumers are expected to shop over the next five days, most of them on the lookout for the deep discounts Black Friday, Small Business Saturday and Cyber Monday are famous for. Deals are the most attractive part of the spending spree that starts on Thanksgiving, but there are other factors that help determine how people spend their money. A store’s atmosphere – those festive holiday displays and the joyous music playing in the background – also has an impact on shoppers. Broekemier, who worked as a retail manager at JCPenney before joining UNK, has studied the effect music has on consumers. A research project he completed with colleagues at the University of Nebraska-Lincoln compared how “happy” and “sad” songs impact someone’s perception of a store. For the experiment, published in the Journal of Services Marketing, Broekemier created a short video featuring a small women’s clothing chain in Southern California. The video didn’t contain any audio or customers, and the store was unfamiliar to the test subjects. Each participant watched the same video clip, but they heard different songs that were predetermined to be either “happy” or “sad.” A control group didn’t hear any music. Broekemier wanted to know whether participants noticed the music, and whether it influenced their mood and opinion of the store. As suspected, happy music made people more likely to shop there. Once they’re in the store, Broekemier said, music helps create an enjoyable experience for shoppers that often translates to increased sales. “If we can get people to stay in our store longer, usually we buy more things,” he said. Holiday music – along with colors, smells and images associated with the season – adds to the ambiance, according to Broekemier, and reinforces the idea that it’s the right time to start chipping away at that gift list. The National Retail Federation estimates the average U.S. consumer will spend $1,007 on retail items, excluding automobile, gasoline and restaurant purchases, in November and December, with total spending topping $700 billion. 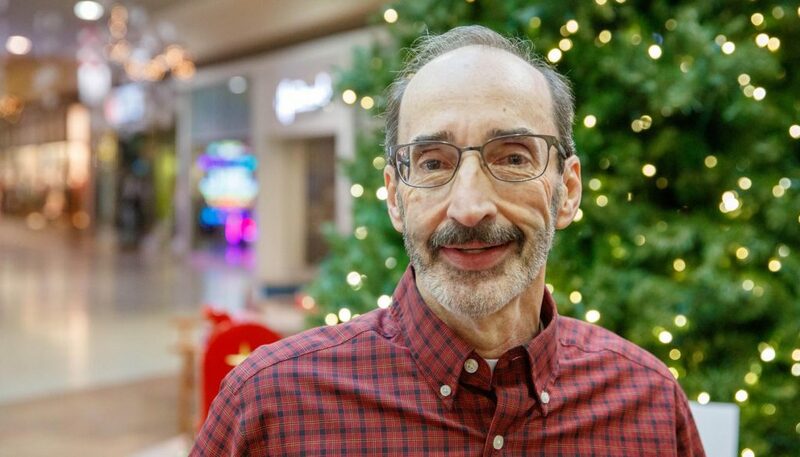 Broekemier called Black Friday an exciting time for retailers and shoppers, but you won’t find him at the local stores at 2 a.m.
“I like deals, but I have my limits, too,” he said.